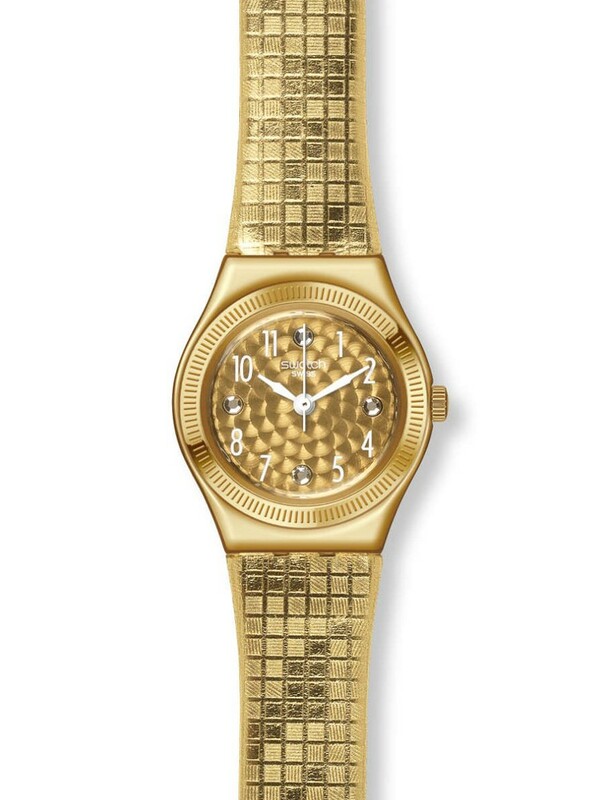 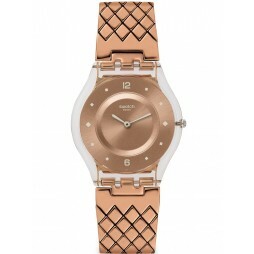 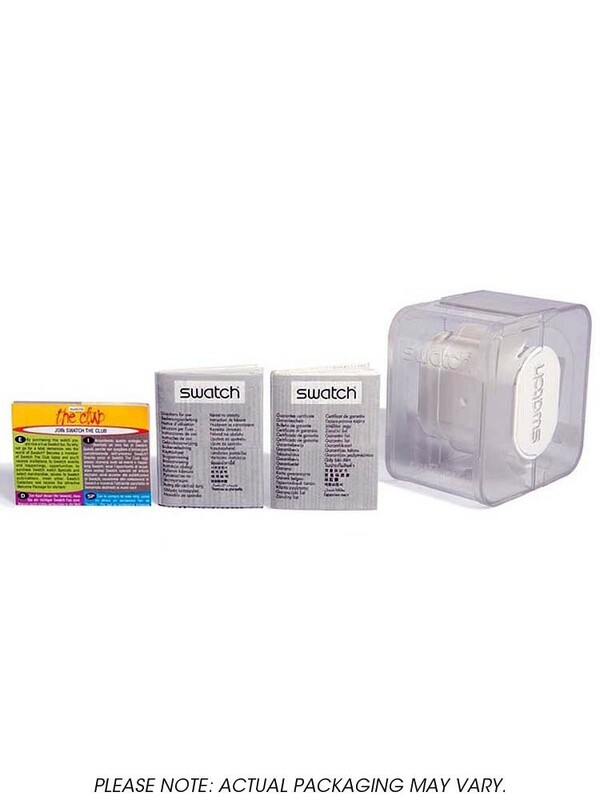 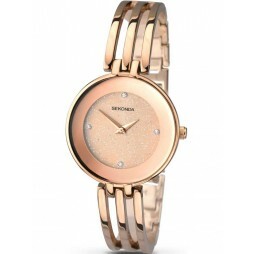 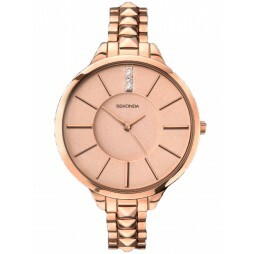 Swatch bring us this gorgeous gold strap watch in a double wrap design with traditional buckle closure. 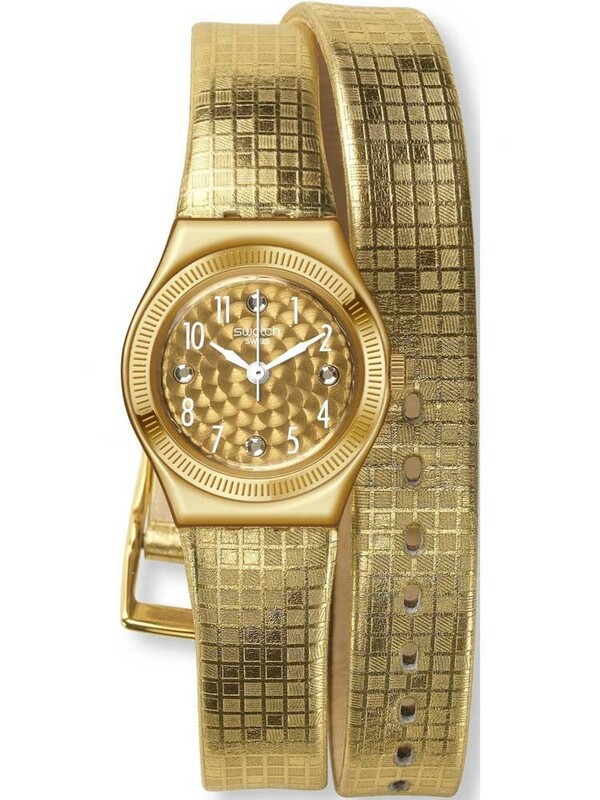 The gold plated steel case houses a round guilloche pattern dial with figures and stone set hour markers. 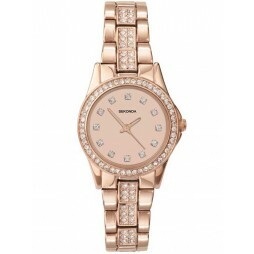 The perfect gift for your loved one.